This how-to tutorial shows you how to tweak the Windows 10 Registry file to force the deletion of pagefile.sys every time you shut down your computer, thereby removing any potential security vulnerabilities. With this method, the next time you start your Windows 10 computer, the paging file will be recreated with new data. 1. Open File Explorer and right-click Computer. 3. Click on Advanced system settings (Figure A). 4. Click the Settings button under the Performance section and then click the Advanced tab. You should see a screen similar to Figure B. Your current settings for the Windows 10 paging file will be displayed under the Virtual Memory section. In the example, the paging file is currently set to be about 16 GB. 5. Click OK a couple of times to close those screens. 6. Start the Registry file tweaking process by typing “regedit” into the Cortana search box on the Windows 10 desktop. 7. 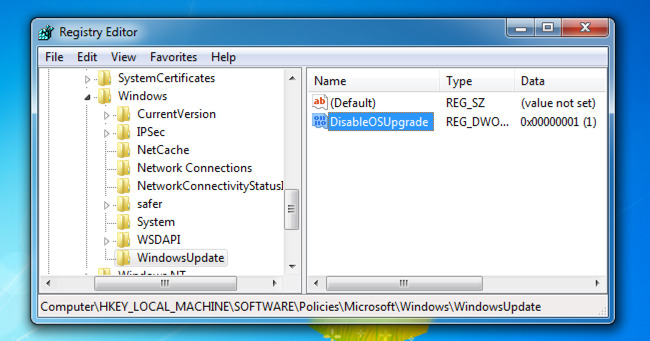 Click the entry in the search results that refer to the Registry Editor program (regedit.exe). 9. In the right-hand window, double-click the ClearPageFileAtShutdown key and change the current default value from zero (“0”) to “1” (Figure D). Gigabit Wi-Fi, 802.11ac, is officially here, but what does that really mean? Here’s my list of the five things you need to know before you invest in this new wireless technology. Fair enough, but in practice you’re not likely to see an 802.11ac reach its theoretical maximum of 1.3 Gigabit per second (Gbps). That’s because the conditions you need to reach that speed requires a laboratory not your office. To reach the highest speeds you need three data-streams, each of which can run up to 433 Megabits per second (Mbps). A typical 802.11ac access point can support up to eight data streams. Client devices must only support one. For example, the Samsung Galaxy S4 supports 802.11ac with the Broadcom BCM4335 Wi-Fi chipset. This chipset only supports a single stream so, even in the best of all possible worlds, you’ll only see 433Mbps. The “unofficial” 802.11ac devices that have been shipping for the last few months, and the first generation of the standard 802.11ac devices aren’t likely to hit these speeds even on a testbed. The fastest speeds here in CNeET/ZDNet land we’ve seen to date came from the NetGear R6300 WiFi Router, which hit a high of 331Mbps. That’s great, but it’s not gigabit great. It is, however, a lot faster than you’ll see then with any combination of 802.11n gear. 802.11ac only supports the 5GHz frequency. The good news about that is that there’s far more room in that frequency spread than there is in the over-used 2.4GHz . The bad news is that a 5GHz signal has less range. At the same time, 802.11ac has another feature, beam-forming, that gets around the general 5Ghz range problem. For the Wi-Fi access point in your office today, the signal is omni-directional—it forms a communications sphere around the device. With 802.11ac the signal is broadcast directly from the access point (AP) to a specific device and back again. While no one seems to have published much on what this means, I expect it means that if you’re in an environment with few 802.11ac devices, say eight, you’ll actually see excellent range. But, if you’re in at a convention center with hundreds of 802.11ac devices I suspect you’ll need to be much closer to an AP to get a signal. That said, life is always miserable for Wi-Fi users in hotels and large meetings rooms. All 802.11ac devices will support older Wi-Fi technologies such as your 802.11n-equipped laptop or even your old 802.11g network bridge. 802.11ac can’t do magic though. For example, if you buy an 802.11ac AP you’ll still be limited to your older devices’ maximum speeds. Soon, there will be a lot of new gear that supports 802.11ac as clients. If you buy an 802.11ac AP now you’re really buying for future use. It’s not going to do you much good today. As always you should remember that any network is only as fast as its slowest link. For instance, if you’re buying 802.11ac to improve your Netflix viewing experience and your Internet connect is 10Mbps, it won’t do you a darn bit of good. 802.11n, or even 802.11g, is all you’ll need. Anyone who does any Wi-Fi network management knows that the 2.4GHz range is as crowded as a Best Buy store on Black Friday morning. In theory, you can use up to 14 channels. In practice, to avoid interference, you can only use three or four channels. If you have conflicting channels, you’ll see your network performance go down the toilet. The advantage of 802.11a and 802.11n’s 5Ghz range is that was so much room that you didn’t need to worry about interference. Get worried again. One of the big ways that 802.11ac gains its speed is by using 80MHz wide channels. In 802.11ac wave two devices–the next generation of 802.11ac, which will start showing up in 2014–the channels will take up 160MHz of frequency. What that means exactly depends on your country, since there are a wide variety of rules on how the 5GHz range can be used. But, in the United States that means 802.11ac will have at most five available channel selections. When 802.11ac second-wave appears it will go down to one or two. In other words, network administrators should start working out now where they’ll be placing 802.11ac APs, because once more you’ll need to be wary of fouling up performance because of AP interference. And, let’s not talk about that business on the floor below you that’s always munging up your network. I know, you thought 802.11ac would let you get rid of some of your Gigabit wiring. Nope. Not going to happen. First, as I already explained you’re not really going to get Gigabit speeds out of 802.11ac. Second, and what many people don’t know, is that second-wave 802.11ac APs will require two, not one, Gigabit Ethernet ports. That just doubled your need for switch ports and cable runs. Oh boy! Sure, you can get by with one port for now, but remember you’re not really going to have that many 802.11ac clients in 2013. Next year is when they’ll start showing up in large numbers and that’s when the second wave 802.11ac APs will be appearing. So, you can forget about doing a drop and replace for your existing 802.11g/n network APs. You won’t be able to do it. Look on the bright side: Even with the next generation of 802.11ac you probably won’t need to back them up with 10Gbps up-links. What all this means is that Gigabit Wi-Fi isn’t really here. Faster Wi-Fi is but it’s not really going to take off until 2014 and when it does come deploying it is going to be expensive. I foresee all of us using 802.11n Wi-Fi for years still to come. 802.11ac is not going to roll out quickly. Windows 10 is a great upgrade. But downloading an entire operating system “just in case” you might want to upgrade to it instead of simply waiting for people to decide to opt in — that isn’t the type of behavior that we want. 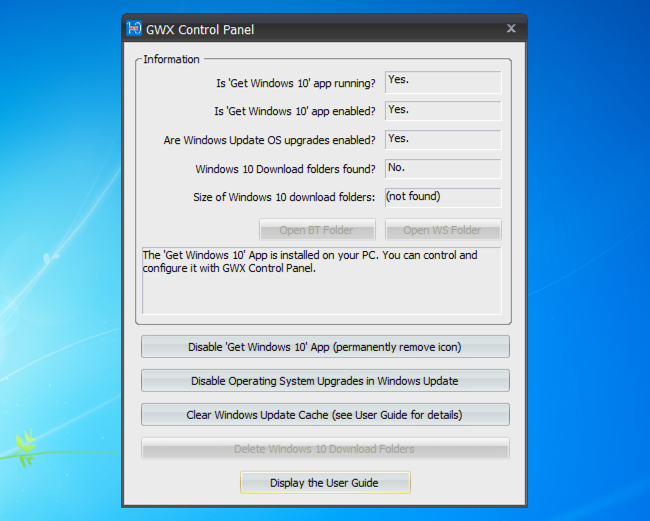 If you want a really simple and easy way to get rid of the “Get Windows 10” icon and stop your PC from downloading Windows 10, you can download a little piece of freeware called GWX Control Panel from a developer that isn’t happy with this nonsense either. Download it, run it, and then click the “Disable Get Windows 10 App (permanently remove icon)” button. And then click the “Disable Operating System Upgrades in Windows Update” button too for good measure. You’ll have to reboot, but at the end, the icon will be gone and your computer shouldn’t get the upgrade. And luckily you can click those buttons again to put things back the way they were. Unfortunately, there’s no magic button to click to stop Windows 10 from downloading. In fact, you’re going to have to install a special patch from Microsoft to keep them from making you download something else. And that’s if you believe Microsoft’s support documentation, which says that you can block the Windows 10 upgrade this way. And you should probably reboot after you do this. So You Already Have the $WINDOWS.~BT Folder? If you already have the folder, which is hidden on the root of your system drive, you’re going to want to follow these instructions over on AddictiveTips to remove it. We haven’t verified these instructions, as we already upgraded most of our computers to Windows 10, and we don’t have the folder on any of our test VMs.